Thank you to everyone who came out to our last StreetScape clean-up. We had a good turnout. We are still hoping for more community members to help with the events. 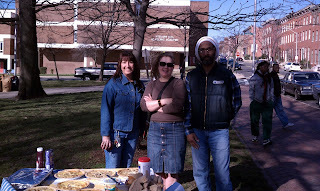 Even if you can't make a meeting - please take a few minutes once a week to pick up trash on your street. As P.T. Barnum said "One brick at a time". One piece of trash at a time builds pride up in our neighborhood and keeps it clean. Trash on the ground is an excuse for others to throw trash. The mindset is why should I care about putting this in the garbage if there is already trash one the ground! Let's all chip in and pick up at least 5 pieces of trash this week! Images from the StreetScape Clean-Up event on Saturday March 19, 2011. 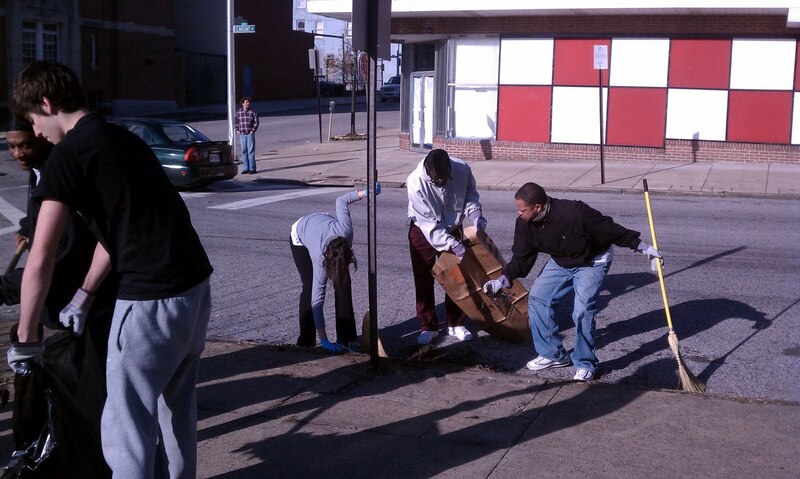 Top photo: Neighbors working together at South Mount Street Clean-Up. Bottom photo: After the clean-up, a get together in the park.